Apple has officially announced the launch of its new second generation iPod touch, which features sleek new design, integrated volume control buttons, built-in speaker for casual listening, built-in wireless support for Nike + iPod, Apple’s revolutionary Multi-Touch user interface, built-in accelerometer as well as other advanced sensors, working with new iTunes 8 Genius feature that allows consumers to create playlists automatically while on the go. 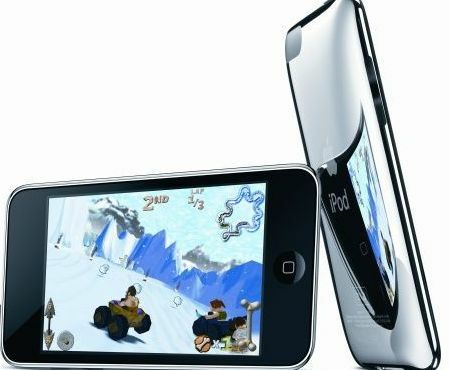 The owners of new iPod touch can select hundreds of exciting game titles on iTunes or directly through revolutionary App Store application on iPod touch, including ‘Spore Origins’ and ‘Scrabble’ from Electronic Arts, and ‘Real Football 2009’ from Gameloft. In addition, the new iPod touch which incorporates a brilliant 3.5-inch widescreen glass display and 802.11 b/g Wi-Fi wireless networking is able to support up to 36 hours for music playback or 6 hours for video playback. The new iPod Touch that come in 8GB, 16GB and 32GB memory capacities are now available for $229, $299 and $399, respectively.